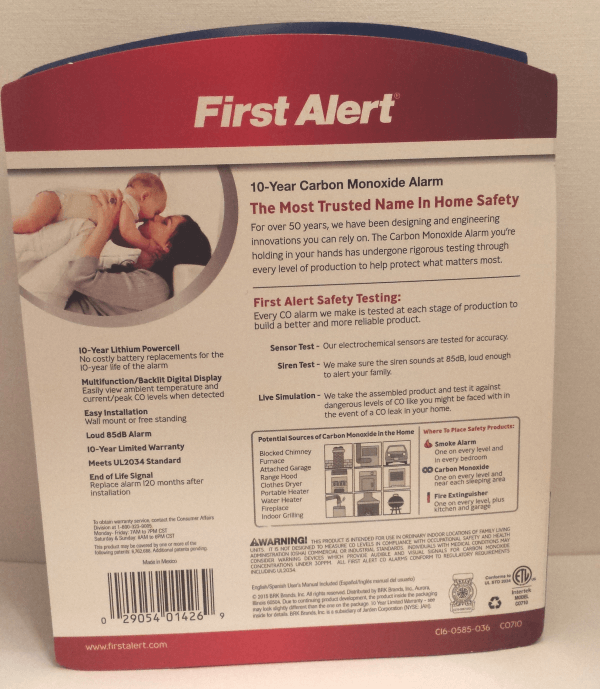 If you heat your house with wood, oil or gas, you may already have a lifesaving carbon monoxide (CO) detector installed somewhere in your home. CO is an odorless, colorless gas produced by burning certain types of fuel such as kerosene, wood, natural gas, charcoal or propane. 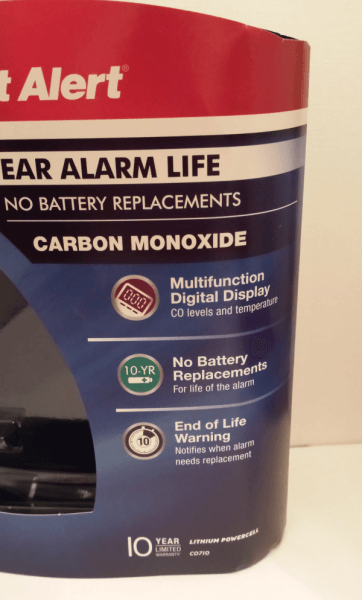 Even some folks who should have a CO detector don’t have one, and many people don’t change the batteries regularly or don’t realize that CO detectors have a limited service life of 5 to 7 years. In addition, a number of CO deaths occur following natural disasters, when people run gas-powered generators improperly or try to heat their homes with gas or charcoal grills. Remember, you can’t smell CO, so a CO detector is your only hope of saving your family should CO levels in your home reach dangerous levels. With the new First Alert CO710 , roughly $60 buys you a 10-year carbon monoxide detector with a sealed, long-life lithium battery that never needs replaced. Simply replace the whole unit when the unit emits a notification signal after 10 years of service. The device includes a 10-year limited warranty. Its easy-to-read digital display shows the ambient temperature and displays CO levels. The unit keeps peak CO levels, which can provide valuable information for hospital or emergency workers. 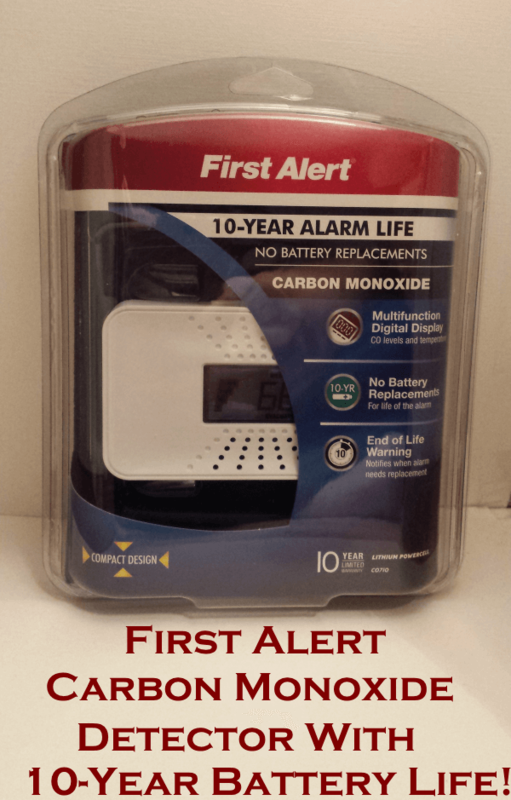 You can quickly silence the unit’s loud alarm if it goes off, but it’s important to immediately take your family and flee the house if you hear the CO alarm. 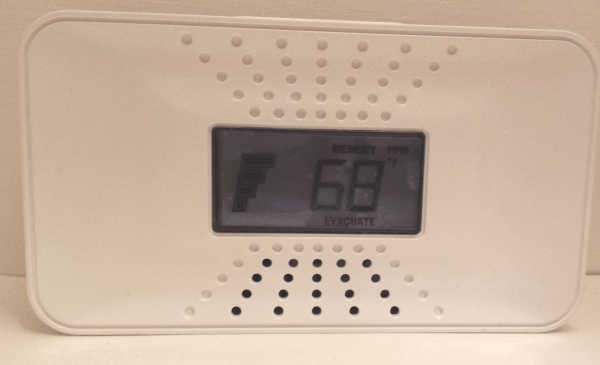 The device’s alarm is certainly loud enough at 85dB to alert the family – whether awake or asleep. Everyone needs to know the importance of vacating the house right away if the alarm goes off. The symptoms of CO poisoning aren’t always obvious and can mimic other, less serious ailments. It’s important to take safety precautions such as using gas and charcoal grills outdoors only. And it’s vital to keep a working CO detector inside your house, especially if you heat your home with some type of burning fuel like coal, oil, gas or wood. I received a sample product to use for this honest evaluation. All opinions are my own.